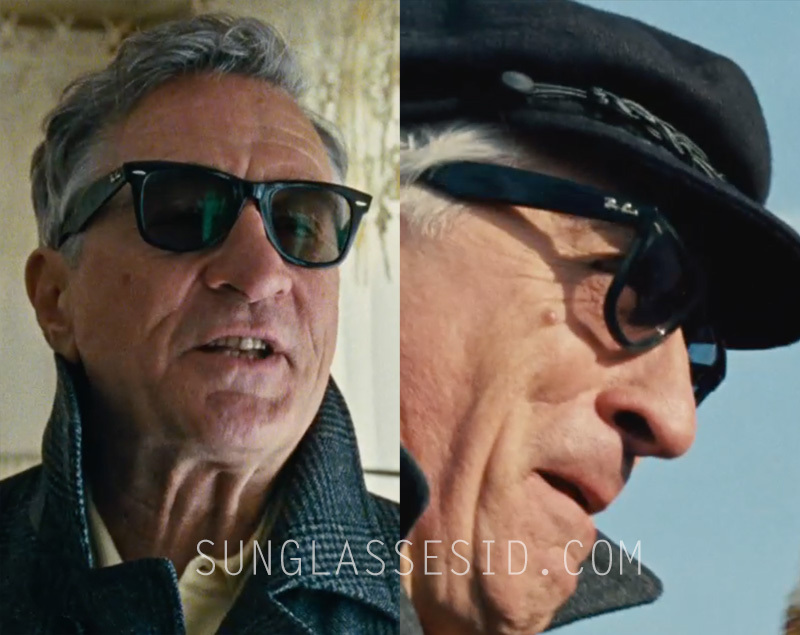 Robert DeNiro wears Ray-Ban RB 2140 Wayfarer sunglasses in the movie Joy. Robert De Niro wears the iconic Ray-Ban RB 2140 Wayfarer sunglasses in the movie Joy (2015). The glasses have a black frame and the lenses are not polarized, otherwise a small "p" would visible next to the Ray-Ban logo on the lens. The Wayfarer is one of the most popular sunglasses frames, see more Wayfarer sightings in movies. Ray-Ban Wayfarer sunglasses are available in different sizes and many color combinations. Get them on SmartBuyGlasses, Amazon.com or FramesDirect. Robert De Niro plays Rudy Mangano, the father of Joy Mangano (played by Jennifer Lawrence), who wears a pair of unidentified aviator style sunglasses in the same film.